Except rocks and dirt, pebble and stones, sand is one of the most popular fillers for Terrarium. Buy terrarium kit is one choice, and you can also stack or layer your sand in different colors and create unique designs on your own. 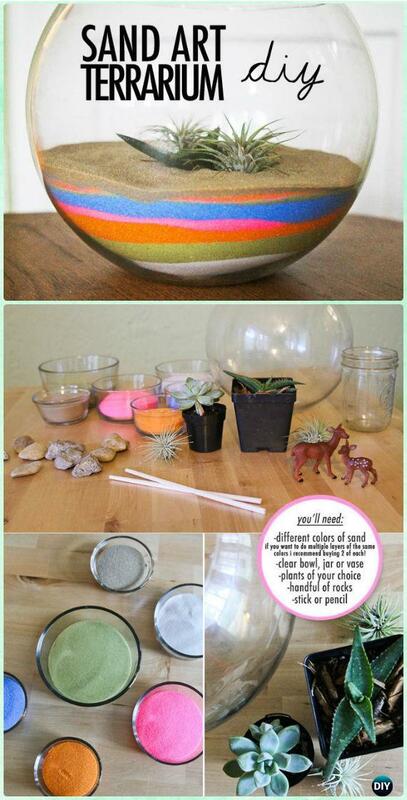 And today our Garden Channel is going to share a list of DIY Sand Art Terrarium Ideas that using either plain or vibrant colors for intriguing design combinations. Succulents, cacti, moss, air plants are the most common plants, but if you want something different, read these two articles before purchasing yours: the 11 Best Plants To Grow In Your Terrarium by Simplemost, and Top Ten Low Light Terrarium Plants by Pistils Nursery. Scroll down and see what sand design and care tips you can get on creating your own. 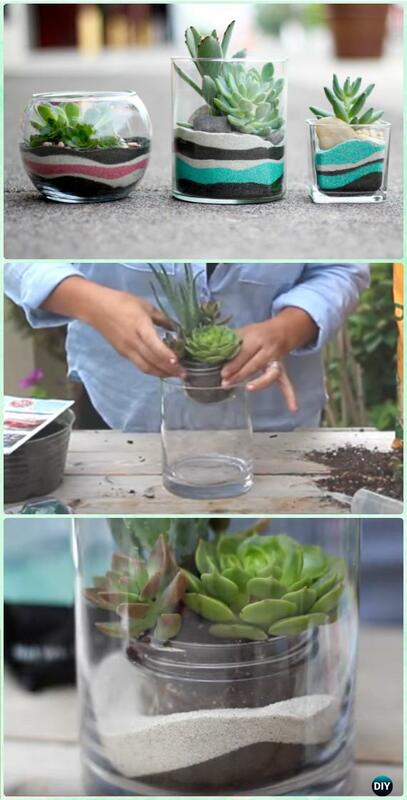 Take care of plants which still needs dirt, place the pot in the container and add sand around.